The solar energy, a source of power not only inspires but also enlightens the lives of people. However, in many parts of the developing world are still lacking a basic necessity – electricity to fulfill the daily needs. With solar-powered personal lighting, children can study and families can spend time together in the evenings without resorting to dangerous and costly alternatives, such as kerosene lanterns. A non-profit organization Makers4Good, Sparkfactor.org’s initiative and fiscally sponsored by Social Good Fund, has a mission to harness local talent in the fields of design, engineering, and manufacturing with the aim of contributing to philanthropic projects which really bring cheer to many faces across the world. The organization works with a number of partners in the solar and humanitarian fields to spread awareness and financial assistance to benefit those partners via sales of these solar lights. Their engineers, led by Kelvin Leung designs a light for Western consumers along with coordinator, Stephen Thomforde develops the relationship with partner organizations whose missions align with the Makers4Good. Members of their team have built products for Apple, Intel, Google, Microsoft, HP, and Sony. Many individuals and companies have donated their time to help this project succeed. They bring financial benefits to non-profits, which in turn bring marketing benefits back to the product designers. It's a great model because everybody wins. 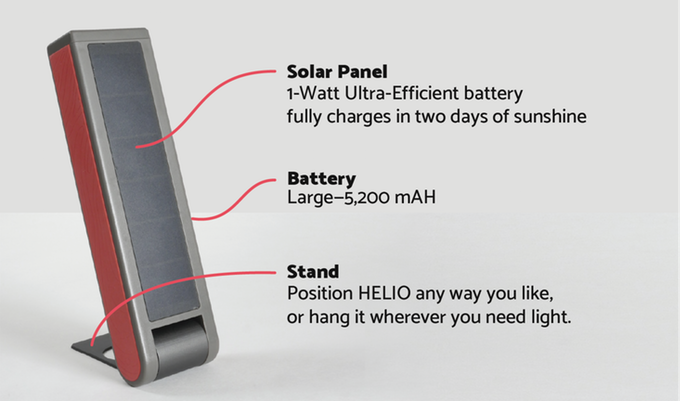 Now, the Makers4Good and James Flynn, the founder of Extrasensory Devices based in San Francisco bring a clean energy product HELIO: an ultra-efficient multi-featured solar lantern, flashlight, and power bank that keeps you going through all your adventures. 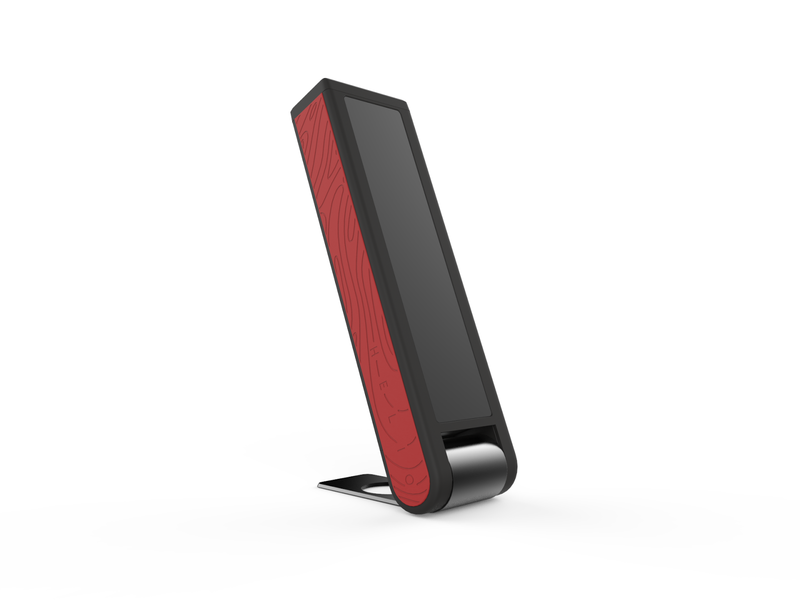 The stand can be positioned at many different angles, from vertical to very nearly horizontal. One USB-A port (power out) for charging your devices, and one micro-USB port (power in) for charging HELIO itself if you don't want to; wait for the Sun to charge it. The Helio weighs just at 370 grams and its dimensions are 215mm x 57mm x 32mm. Its high capacity 5,200 mAH battery is good enough to charge most devices multiple times. Its red mode has three settings – high, medium and low. The low setting is really very low at about ~2 lumens. The medium setting gives about ~20 lumens while high setting on the red lamp is ~80 lumens which can go up to 150 lumens. HELIO is designed to be water resistant and is rated at IP65 for water resistance. This rating is an industry standard for surviving water intrusion testing under 15 minutes of rain, at 12 liters per minute projected against the device. It can charge your smartphone and can brighten your entire nocturnal trek. It requires just one hour of solar charge per day to keep it stay lit indefinitely. A clean and renewable powered product, like Helio solar lantern, has a huge impact on our quality of life as it supports our environment and is a necessity for the future generations.